Money is literally no object here. In fact, it has no place at all as we trawl the net for the best apps in the world today. This desktop software is perfect for creating that magnum opus or floor-filling banger, and won’t cost you a penny. Before we dive in and give you our top five best free music-making apps for Mac and PC, we'd better lay down a few ground rules. Apps you won’t be seeing in this list are those bundled ‘lite’ editions purchased with such hardware as the humble audio interface. As great as they are, the initial outlay of buying the product means they aren't really free. We’re also going to be sticking to just desktop software for macOS, Windows and in some places, Linux. There may be some crossover with the world of mobile music-making, but that’s a list for another day. So, without further ado, read on for our shortlist of free digital audio workstations, softsynths and effects. Apple’s long-standing digital audio workstation has come a long way since we first saw it in 2004, and although it still lacks a couple of key features (such as MIDI export and the ability to control external hardware via MIDI), GarageBand offers more than enough to get you going. Apple has done a very good job at creating the perfect gateway drug into music production, and a clear path to Logic Pro X (Apple’s fully-functional professional DAW) is plain to see. Shared features include Drummer, the seriously easy to use groove-maker, which includes multiple genres styles, easy controls and a ton of pattern and fill variations. You’re also treated to content from the Apple Loops sound library. And to further ease the transition, a familiar interface to Logic. Although limited to 255 tracks per song, GarageBand is an immensely powerful and easy to use DAW that seems to be getting better with age. The folks at Tracktion seem to have hit on a rather canny business model by releasing older versions of their DAW for free, with nothing taken out. The convention seems to be to make the version two iterations before the current one available to download without charge. You might not get all the latest features, but you'll receive an update each time the company updates its flagship DAW, which it does almost yearly. Despite being two years old, Tracktion T6 is still a feature-packed and relevant DAW designed with simplicity in mind. It’s a workspace that gives you everything you need in the main window, without the need to jump to different screens. Every section is scalable, so you can adjust to suit your workflow and the bottom panel changes to to display whichever parameters you've selected elsewhere on the screen. It has a different feel to the more established DAW workflow and certainly looks unique, but at its core Tracktion 6 does everything expected of it, including MIDI-out functionality (which GarageBand lacks). Tracktion T6 features an unlimited number of audio and MIDI tracks, all depending on your hardware capabilities of course, and is able to host multiple plugin formats including VST and Audio Units. AmpliTube Custom Shop from IK Multimedia might be a cut-down version of AmpliTube 4, but it's still a fully functional guitar rig modelling application. This free version comes with 24 models including a digital chromatic tuner, nine stompboxes, four amps, five cabs, three mics and two rack effects. There’s plenty to keep any guitarist happy when recording directly into their laptop – not least the fact IK Multimedia has secured official guitar amp models from such giants as Fender, Ampeg, Orange, Mesa Boogie and many more. AmpliTube's tones are authentic and there's an impressive level of customization available (including choice of microphone and mic placement), but perhaps the biggest boon is the Custom Shop feature. Okay, so at this point you're going to have to start shelling out some cash if you want to expand your collection of amp models, stompboxes and cab sims. However, the 'try before you buy' scheme is a welcome one. Klevgrand may not be a household name, but the Stockholm-based production company has certainly carved a name for itself with a slew of fine-sounding instruments featuring some rather esoteric interfaces. SyndtSphere is no exception, and is one of the more accessible software synthesizers out there. Loaded with over 70 presets, the big fun here is the way you can morph between sounds using a nifty sphere-like object at the centre of the app. More seasoned producers needn’t be be put off by the beginner-friendly feel; SyndtSphere has an impressive array of sounds lurking within. The unique morphing function allows for some rock-solid sound design, but you may find yourself playing around with it for ages before getting anything done. 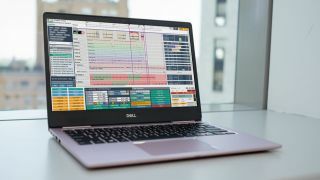 Cakewalk – formerly known as Cakewalk SONAR, was one of the first ever digital audio workstations, but its owner Gibson halted development last year. Luckily for music makers, cloud music creation platform BandLab snapped the software up in February, and has made it available to download free. Cakewalk is a complete music production package, with creative songwriting tools and instruments, advanced mixing and mastering tools, unlimited MIDI and audio tracks for your own recordings, and a full suite of editing tools. Once you've finished, you can publish your work directly to SoundCloud, Youtube, Facebook and many other sites. It's a pity it's only available for Windows 10 at the moment, but we'll be interested to see where BandLab takes Cakewalk in the future.